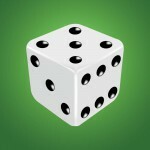 Are you executing strategy with a roll of the die? He went on to say that as companies grow they move away from strategies and workings that saw the initial successes and growth of the organization. Managers and executive were on the floor and implementing the strategy themselves with a close team right there on the frontline. As organisations grow they rely more and more on the multiple levels and divisions to implement their thinking. Often the frontline is quite distant. Key to strategy implementation is motivational leadership that impacts on turning the strategy into action. Clarification, communication and cascading the plan are paramount to the action plan. Lastly performance management during and after the implementation is where the success is ultimately measured. In implementing strategy or key change processes, management can struggle to find the vehicle to effectively reach and measure key attributes to support their strategy and rollout thereof. Winning Teams Professional promotes key strategic plans by targeting key knowledge bases that support the strategy, efficiently and effectively creating focus and enabling all levels of staff in the process. Winning Teams methodology supports the action plan of clarification, communication and cascading of the plan, strongly enforced by performance measurement of key knowledge areas, thereby supporting the strategy. Knowledge base is a basic building block for any organisation and by creating an environment for focus and key knowledge retention it builds Winning Teams.